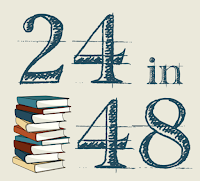 Helen's Book Blog: 24 in 48 Readathon...I'm in! 24 in 48 Readathon...I'm in! 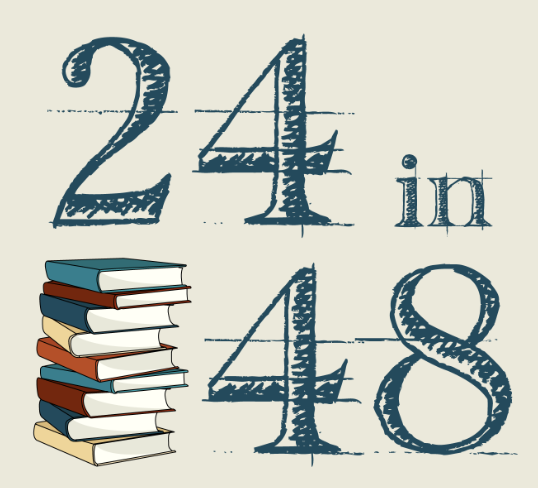 I just read about the 24 in 48 Readathon from Anne at My Head is Full of Books (thank you, Anne!). Q: How does 24 in 48 work? Do I have to read 24 books in 48 hours? 24 is for the number of hours, not the number of books! Over the course of 48 hours, you challenge yourself to read for 24 of those hours. This can mean reading 12 hours each day, 20 hours one day and 4 hours the next, or 24 hours straight. However the scheduling works best for you! 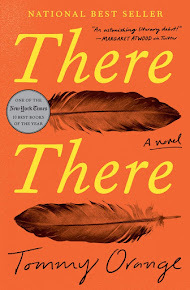 Q: When is the next readathon? Mark your calendar for January 26-27, 2019! Q: What time does the readathon start? The official start time is 12:01am ET on Saturday and the official stop time is 11:59pm ET on Sunday. But, basically it’s up to you. Because 48 hours is your whole weekend, you can do whatever works best for you. Q: Will there be prizes? Yes! Check out the prize page to see what we’ve got so far. If you’d like to donate prizes (books, gift certificates, bookish stuff, etc.) please send an email to 24in48readathonofficial@gmail.com. Also, your donations through the PayPal Donate button over there in the sidebar help us to send prizes all over the world to our large international community. Please think about donating. Even $5 helps our whole community. Q: How can I participate? Make sure you’ve signed up for the next readathon on the sign-up post, and include your main participation location and email. That location can be your own blog, Twitter, Facebook, Instagram, YouTube, Litsy, etc. but you also don’t have to have an internet presence to participate. You can just sign up and that’s it! You’re participating.